Aside from maybe chocolate, few foods taste better with freshly roasted, salty peanut butter than a perfectly ripe banana. My Peanut Butter Banana Oatmeal Smoothie combines the best of both worlds and is morphed into a well-rounded breakfast thanks to yogurt, milk and oats.... Of course, this smoothie is a blend of my favorite ingredients; chocolate deliciousness + banana creaminess + peanut butter protein = very happy tummies. I like to peel green-ish bananas ahead of time and throw them into a freezer safe zip-bloc bag. Get the day started right with a peanut butter, banana, and flax smoothie. Not only will it taste like a treat but you'll get a good dose of potassium, protein, and fiber to boot. 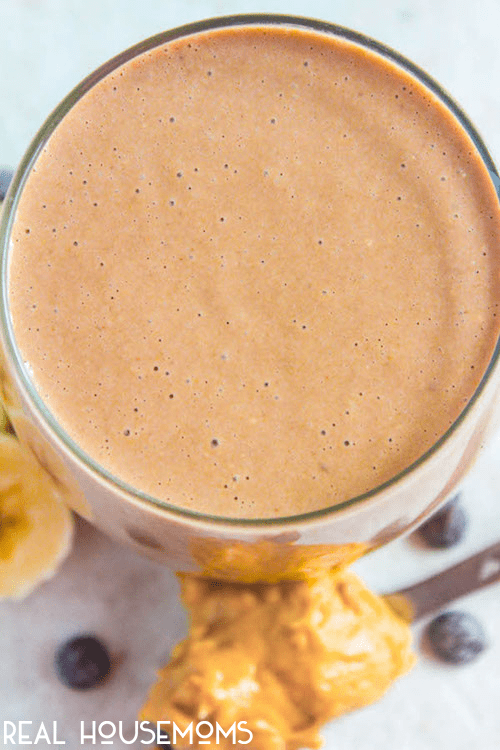 If the Not only will it taste like a treat but you'll get a good dose of potassium, protein, and � how to fight for love back Frozen Banana & Peanut Butter Smoothie If you�re looking for a sweet, creamy smoothie to have for breakfast or post workout then this is exactly what you need! The mix of frozen banana, peanut butter and brown rice milk give it a wonderful sweetness and milkshake like consistency, while the hemp seeds boost your protein intake and the spinach gives you a great portion of leafy greens. Aside from maybe chocolate, few foods taste better with freshly roasted, salty peanut butter than a perfectly ripe banana. My Peanut Butter Banana Oatmeal Smoothie combines the best of both worlds and is morphed into a well-rounded breakfast thanks to yogurt, milk and oats. how to make scones without butter Substitute. Substitute 1/2 cup of your favourite fresh or frozen fruit for the bananas and strawberries. Substitute. Prepare using your favourite variety of Kraft Peanut Butter. 8/01/2018�� This Chocolate Peanut Butter Banana Smoothie I would rather not keep in the fridge because the banana will brown overnight. However, if you know you won�t have even the 5 minutes it takes to throw everything in the blender, blend and wash your blender in the morning, you can still prep ahead the night before. 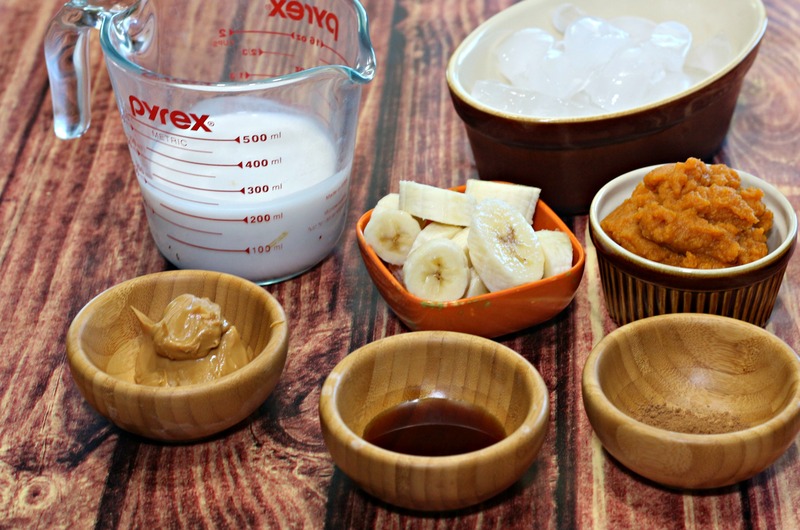 COMBINE milk, banana, peanut butter, honey and ice cubes in blender container. Cover and process until smooth. Cover and process until smooth. POUR into serving glasses.